I mentioned in my grilled chicken tacos recipe post that if you had any left over tortillas, you can just make tortilla chips with them and that is exactly what I did with mine. In a packet of 8 medium sized tortillas, I only used 5 – I made 4 into the chicken tacos mentioned earlier and 1 of them was a failed attempt. The “failed attempt” got a bit cold and wet for the photos so Yuye took the chicken filling out and put them into a fresh tortilla. The left over tortilla was slightly sad and damp so I ate it with the left over salsa. It was beautiful! In fact, the salsa tasted nicer the next day where the ingredients were full of flavour from the lime juice and herbs. 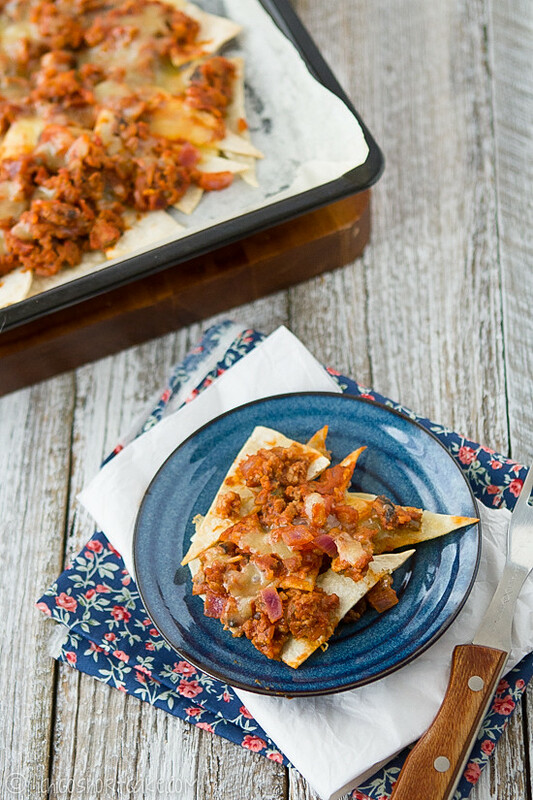 I had the most difficult time photographing these tortilla chips though it was very easy to make. It wasn’t because it was hard to take photos of or anything relating to the food. You see, my current food photo setup is a very hazardous work area. The table where I put the food on is a little too high for me so I have a tripod in place with my Canon DSLR propped up and when I take the top down photos (below) I stand on top of a chair, with one leg on the table. You can imagine how utterly uncomfortable and un-lady like that is. No no, in fact, please don’t try to imagine that. While I was taking the photo, my white bounce board (which is a recycled white canvas from Yuye’s mum’s painting collection) fell over, right onto the top of the food. My right arm’s reflexes went wild in a frantic attempt to save my oh-so-delicious nachos. In doing so, I knocked over the tripod (with the camera and $1400 lens still attached) backwards onto a pile of wooden backgrounds for my photos. I then knocked my knee on the side of the table and almost fell off the chair. That’s a sight that you DEFINITELY don’t want to imagine. It turned out that the board didn’t even TOUCH the nachos which is good, although my camera had a line of white paint obviously left over from scraping against the white wooden background. It looked a bit like Yuye’s car door that I also accidentally so conveniently scraped against a white pole in a parking lot. Oh shame on me. After this turmoil, I had to reheat the nachos which now looked not very appetising (and thus explains the lack of a variety of photos here) but at least it tasted fantastic. 1. Preheat oven to 180C. 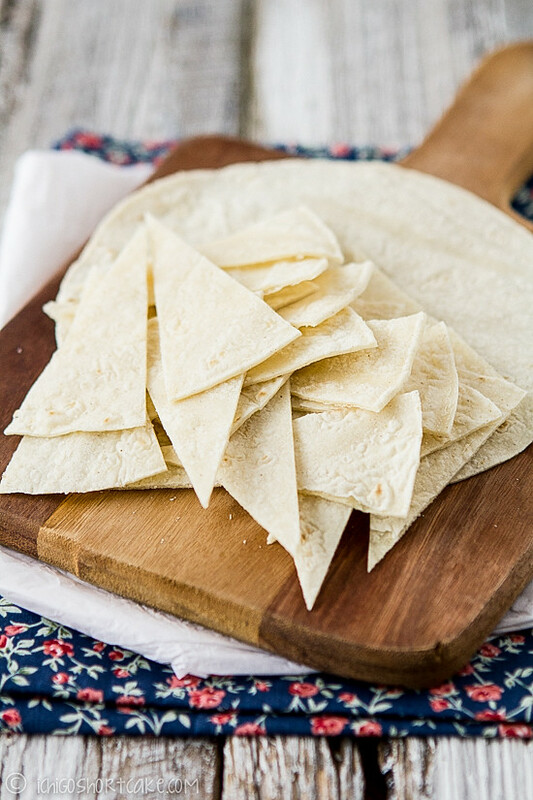 Cut tortillas into 10 or 12 triangles each, depending on how big you want them to be. 2. Bake tortillas on a baking tray until crispy and slightly browned (roughly 10 minutes). Watch the oven carefully to not to burn them. Take out the tray and set aside when done. 3. In the mean time, heat a frying pan on medium high heat and oil the pan with cooking oil. Fry the garlic, onions and chilli until fragrant but not browned. Add in minced meat and cook until changed colour. 4. Add in capsicums, tomatoes, mushrooms, cumin, paprika and cajun seasoning and cook for a few minutes until soft and cooked through while stirring and mixing the seasoning well. 5. Add in tomato paste and 1/4 cup water, stir through then add salt and pepper to taste. Cook for a further 2-3 minutes then take off heat. Add more or less water depending on the consistency that you like. 6. 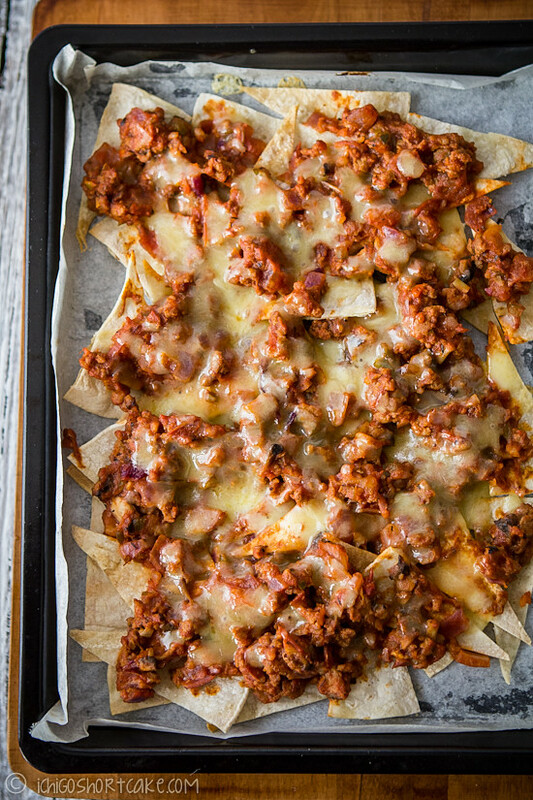 Top the tortilla chips (while still in the baking tray) with the mince mix and top with grated cheese. 7. Bake at 180C in the oven for a further 5 minutes or until the cheese is melted. Serve immediately as the chips turn soggy very quickly. Question time: Are you a food blogger and do you have a photo taking area in a part of your house? Is your setup like mine where it’s a bit cluttered and dangerous or have you developed a methodical work process and area? Good recipe. And the pictures turned out well. I do know how hard it can be to take decent pictures sometimes, particularly when the food doesn’t cooperate. My biggest problem is that darn food stylist (me!). If I could replace him I would – but I can’t! 😉 Although I enjoy taking available light photos, I switched over to studio flash for my photos. I have a fairly spacious set up in my basement, and this of course means I can take my photos when it’s dark outside – which is often when I do it! But running up and down the stairs with food is a real pain. I haven’t dropped a dish yet – but I think about it virtually every time I make the trip. Anyway, entertaining post – thank you. I use Paul C. Buff Einsteins (they also make AlienBees), which I believe are available in Australia. In the US they deliver great bang for the buck; I don’t know if they’re as good a deal in Australia. These are monolights (which means you plug each light into a wall socket) and work well. The best thing about these is you can turn the light very, very low – useful when you want to shoot at f2.8 or even less. The downside is their mount for softboxes and the like can be a pain to use sometimes (I wish they’d improve it), but it’s OK.
great idea for using up the tortillas! these look sooooooo good! i wish i had a plate of them right now.